What makes a super yacht 'super'? Just as Airbnb shook up the hotel market by making it easy for travelers to rent people's homes for vacation stays, some new boat-sharing sites are trying to make it simpler for folks to spend time on the water. Sites like San Francisco-based Boatbound and Fort Lauderdale, Fla.-based Cruzin are sprouting up around the country and even globally. All kinds of boats are available, from small sailboats to massive yachts. The sites say it makes boat ownership more affordable and boat rentals more accessible. Rather than charter through a rental agency, customers browse available boats on a website, then go directly to the owners to rent by the hour, day, or more. Rates vary widely depending on the type of boat, its condition, where it's located, and how long the charter is for. A small, one-person kayak might go for as little as $25 a day, while a 97-foot luxury yacht in New York City is listed on Boatbound for $7,000 a day, including a captain. That variety of listings makes it easier for renters at any price point to spend a day on the water, especially since commercial charter companies don't usually have that same kind of inventory. Chartering smaller boats isn't "a sustainable business model, with the cost of insurance, upkeep and what people are willing to pay," said Abby Mohan, a captain with SF Bay Adventures, a traditional charter company in the San Francisco Bay. Her company doesn't rent boats smaller than 32 feet. To appeal to more prospective customers, the new sites are trying to build up their supply of potential rentals. Boatbound, which recently secured $2.5 million worth of funding, is working on finding more owners to list boats as it tries expanding into five new markets across the country -- Washington, D.C., New York City, Chicago, Boston and Seattle. Meanwhile, Aventura, Fla.-based BoatSetter is working with marinas across the country to reach out to boat owners. The company launched in February and hopes to be nationwide within the next couple years. BoatSetter focuses on vessels in the mid 30-foot range. They rent for an average $800 for a half day and twice that for a full day. Other peer-to-peer boat-share sites include Cruzin, which went live last year, and Boaterfly, which caters to markets outside the U.S.
All these sites look to take advantage of a couple of competing market forces: Boating participation has been at an all-time high -- 38% -- the last two years, according to the National Marine Manufacturers Association. Yet boats are only used by their owners about 20 days out of the year, according to the U.S. Coast Guard's most recent boat owners safety survey. Owning a boat is expensive. 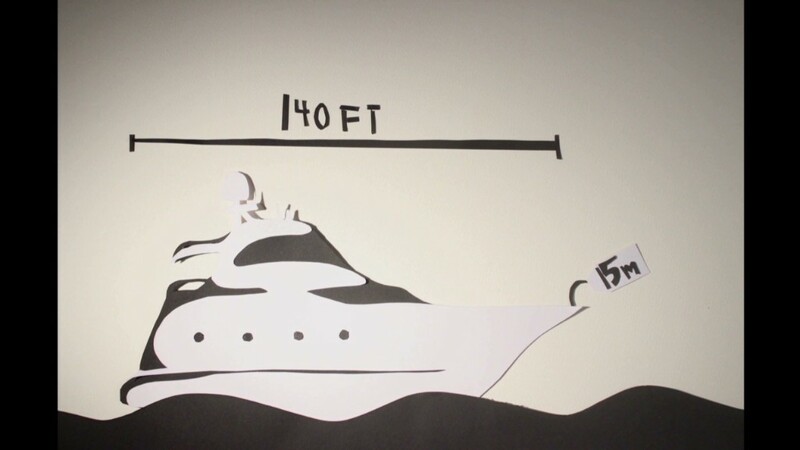 The general rule is that maintaining a boat costs about 10% of the boat's worth each year. With boats selling for anywhere from several thousand to several million dollars, some owners may be facing steep upkeep costs. "The worst thing you can do for your boat is not use it," said BoatSetter CEO Andrew Sturner. Boat owner Robert Scarano, an architect in Brooklyn, N.Y., is a recent Boatbound recruit. He has two speedboats, one 38 feet long and another 25 feet long. Renting his smaller boat for a day is $750, and the larger one goes for $1,350. Scarano is skeptical that using the site will help him much financially. "If you look what I'm charging it probably doesn't even cover the cost between the wear and tear," he said. "It's just kind of cushioning it." He said the real value for him is sharing his boat with other people. "I do think this is a really cool thing," he said. "It gets people out on the water."